At some point in the middle of the night I’m sure you will have tripped over the corner of bed or stood on that plastic object left on the floor. Maybe your children are scared of the dark but the main light is too bright to be left on. The challenge is to build a smart night light that adjusts its own brightness depending on the light level in the room. Use the in-built light sensor and LED array brightness settings to program the night light to your requirements. 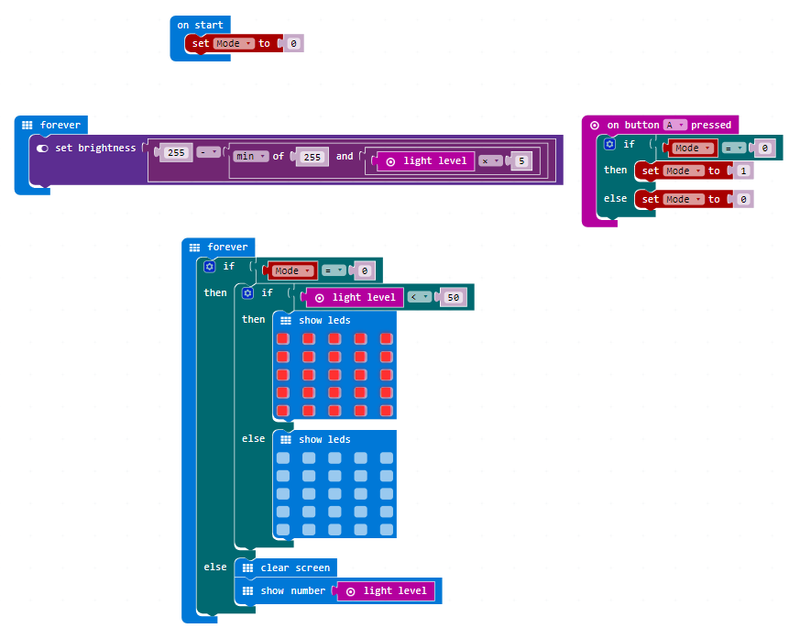 Program to have selected LEDS lit up to add some life into your nightlight! Program a mood lamp which changes colour in response to different ambient temperature environments.